Hot new bars and clubs come and go in L.A. but sometimes certain patrons stay long past the final closing time. I’m talking ghosts. Historic venues like the Hollywood Roosevelt, Yamashiro and Venice’s Del Monte Speakeasy are teeming with spirits. With the long and colorful history our city, ahem, possesses, it was bound to happen. If you’d like a side of “Boo!” with your booze, check out these haunted bars. One-Eyed Gypsy: This downtown bar has been serving liquor for 113 years in a variety of incarnations — saloon, brothel, speakeasy. There have been reported suicides and murders in the bar and around the area leaving this venue ripe with hauntings. And according to One-Eyed Gypsy general manager Arianna Reel Cook, the bar’s ghosts aren’t shy. During one crowded night, a gold crown that sits atop the head of a statue behind the bar, flew across the room and knocked a patron upside his head. The lit “religious” candles by the wall of booze have been known to mysteriously fall over, too. If you’re dying to experience the ghosts for yourself, stop by this Friday the 13th when Ghost Hunters of Urban Los Angeles (GHOULA) hosts its monthly Spirits With Spirits, a social gathering of local ghost hunters, at One-Eyed Gypsy. The event is opened to all, from skeptics to fans of the supernatural. Grab a seat beside former owner of Del Monte Speakeasy. So what if he’s a ghost? Del Monte Speakeasy: The basement bar below the Townhouse in Venice first opened its doors in 1915, and up until just last year, had been serving liquor illegally since 1933. Here, you’ll find stories of underground tunnels stretching from the beach to King Eddy Saloon downtown, as well as secret brothels. But out of all the ghost stories, the most interesting one seats you right by a former owner. Frank Bennett (owner from 1972 to 2003) is known to inhabit the best seat in the house, the back corner booth across from the bar. Coincidentally, that seat was known to be a favorite spot for Frank Sinatra, too, when he was alive and patronized the place, that is. 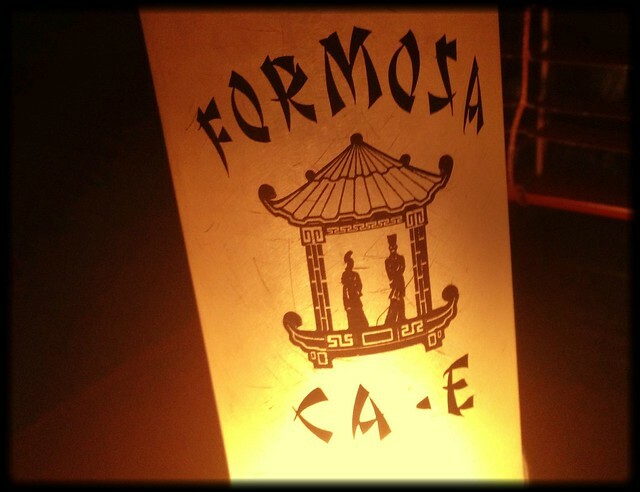 Formosa Cafe is filled with active ghosts. Just ask bartender Kate Grutman. Formosa Bar: Kate Grutman, the mixologist who took over the cocktail program late last year, said that ever since she’s started her stint at the old bar which has been around since 1923, she’s experienced one haunting after another. She’s had ghosts mess with her iPod, insisting on playing Frank Sinatra’s “New York, New York” over the bar’s speakers, and even felt cold spots which, as any ghost hunter knows, is indicative of a nearby spirit. One employee, who was helping close up one night, asked Kate if they already closed out the young lady who was sitting by herself in the train car. “What are you talking about? There’s no one in the train car…” Kate replied, before running out of the bar screaming. One night after closing former beverage director Aidan Demarest heard laughter coming from this area. Hollywood Roosevelt’s Spare Room: Lots of famous ghosts are known to haunt the historic Hollywood hotel, from Humphrey Bogart to Montgomery Clift. Aidan Demarest, former beverage director of upstairs bar/bowling alley Spare Room, swore he had actually caught a glimpse of Marilyn Monroe in the mirror she’s known to possess when it was stored in his office. But it’s his story about one eerie closing night experience that still gives me the creeps. It was one of the rare times he was closing Spare Room while sober, he said. 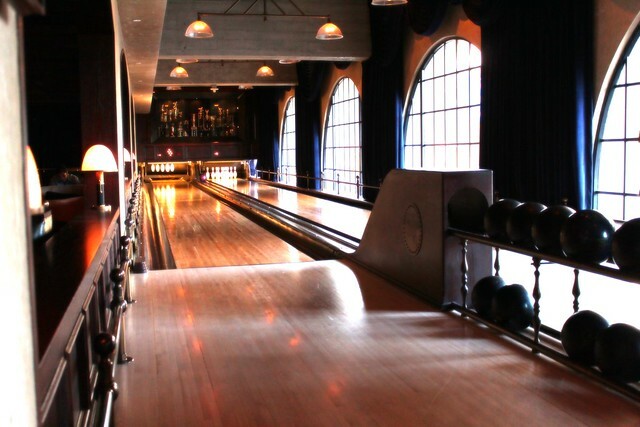 He was shutting off the lights for the bowling alley when he got that weird tingly feeling that he wasn’t alone in the bar. Everyone else had already left but he had heard voices. After looking around he confirmed there was no one else in the room. But when he shut off all the lights, he said he heard a distinct woman’s laugh, like a “HA ha!” Thinking that some crazy person off Hollywood Boulevard might have sneaked into the bar when he wasn’t looking, he got angry and a bit scared so he called security to sweep the area. Sure enough…they didn’t find anyone. Creeeepy! 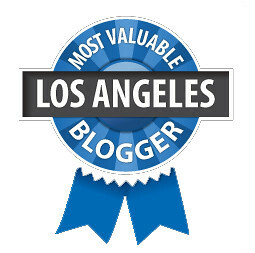 Yamashiro: When the blogger prom committee and I scouted out this hilltop Japanese restaurant in Hollywood for our 2010 blogger prom, the folks there gave us a tour of the place, telling us of its past hauntings. Since the restaurant is so beautiful, lots of people like to get married there. And upstairs in the bridal suite, people have reported hearing a woman crying. That room is where we stuffed gift bags so I can attest to how chilly (and creepy) it is. Just glad I was never left alone there. Other tales tell of former owner Thomas Glover (1948), who is actually buried in the garden, haunting his grave site, as well as knocking down plates when his family, who still owns the restaurant, talked about selling it. For more haunted bars, check out GHOULA’s Spirits With Spirits Google Map. Oooh! Know of any boozy ghost tours in NOLA? I’ve been told by multiple bar tenders that El Cid on West Sunset is Haunted. Oooh, what kind of stories do they have? Very nice. I like haunted places, they don’t bother me. I’m a little intuitive and love anything unexpected if it happens. I’d love to go to the Hollywood Roosevelt.